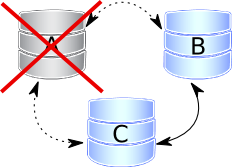 The post Galera replication – how to recover a PXC cluster appeared first on MySQL Performance Blog. By “concept of cluster” I mean supporting the notion of group instances, which should allow a single cluster-wide view for metrics and query reports, such as the slow queries (which are recorded locally on the node where the query was run and thus observed in a detached way). This still needs to be implemented indeed, but it’s on the roadmap. The “Galera bits” I mentioned above are the various “wsrep_” status variables. 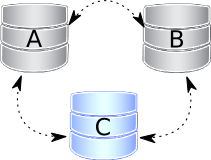 In fact, those refer to the Write Set REPlication patches (based in the wsrep API), a set of hooks applied to the InnoDB/XtraDB storage engine and other components of MySQL that modifies the way replication works (to put it in a very simplified way), which in turn are used by the Galera library to provide a “generic Synchronous Multi-Master replication plugin for transactional applications.” A patched version of Percona Server together with the Galera libray compose the base of Percona XtraDB Cluster. And for a broader and real time view of the wsrep_ status variables you can use Jay Janssen’s myq_gadgets toolkit, which he modified a couple of years ago to account for Galera. There’s also a specific Galera-template available in our Percona Monitoring Plugins (PMP) package that you can use in your Cacti server. That would cover the “how well the cluster copes with load along the time,” providing historical graphing. And while there isn’t a Galera specific plugin for Nagios in PMP, Jay explains in another post how you can customize pmp-check-mysql-status to “check any status variable you like,” describing his approach to keep a cluster’s “health status” in check by setting alerts on specific stats, on a per node basis. VividCortex recently added a set of templates for Galera in their product and you can also rely on Severalnines’ ClusterControl monitoring features to get that “global view” of your cluster that Percona Cloud Tools doesn’t yet provide. Even though ClusterControl is a complete solution for cluster deployment and management, focusing on the automation of the whole process, the monitoring part alone is particularly interesting as it encompasses cluster-wide information in a customized way, including the “Galera bits”. You may want to give it a try as the monitoring features are available in the Community version of the product (and if you’re a Percona customer with a Support contract covering Percona XtraDB Cluster, then you’re entitled to get support for it from us). One thing I should note that differentiate the monitoring solutions from above is that while you can install Cacti, Nagios and ClusterControl as servers in your own infrastructure both Percona Cloud Tools and VividCortex are hosted, cloud-based services. Having said that, neither one nor the other upload sensitive data to the cloud and both provide options for query obfuscation. Contrary to what I believed, Percona Cloud Tools does provide support for “Galera bits” (the wsrep_ status variables), even though it has yet to implement support for the notion of group instances, which will allow for cluster-wide view for metrics and query reports. You can also rely on the Galera template for Cacti provided by Percona Monitoring Plugins for historical graphing and some clever use of Nagios’ pmp-check-mysql-status for customized cluster alerts. VividCortex and ClusterControl also provide monitoring for Galera. 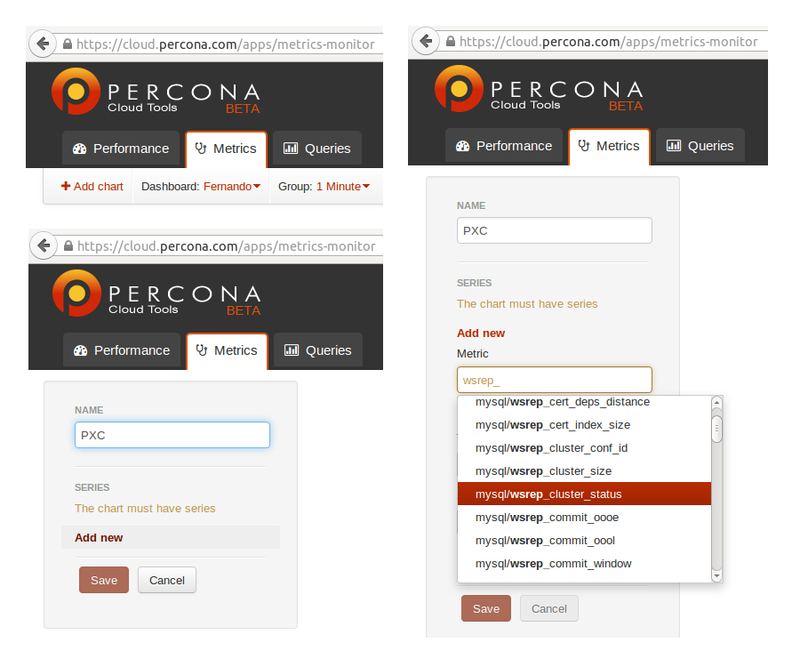 Percona Cloud Tools, now in free beta, is a hosted service providing access to query performance insights for all MySQL uses. After a brief setup, unlock new information about your database and how to improve your applications. Sign up to request access to the beta today. The post Galera data on Percona Cloud Tools (and other MySQL monitoring tools) appeared first on MySQL Performance Blog. Percona is glad to announce the release of Percona Server 5.6.20-68.0 on August 29, 2014. Download the latest version from the Percona web site or from the Percona Software Repositories. Based on MySQL 5.6.20, including all the bug fixes in it, Percona Server 5.6.20-68.0 is the current GA release in the Percona Server 5.6 series. All of Percona’s software is open-source and free. Complete details of this release can be found in the 5.6.20-68.0 milestone on Launchpad. Percona Server has implemented the MySQL 5.7 SHOW SLAVE STATUS NONBLOCKING syntax for Lock-Free SHOW SLAVE STATUS feature. The existing SHOW SLAVE STATUS NOLOCK is kept as a deprecated alias and will be removed in Percona Server 5.7. There were no functional changes for the feature. 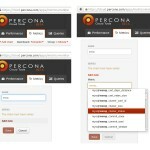 Percona Server Audit Log Plugin now supports JSON and CSV formats. The format choice is controlled by audit_log_format variable. Percona Server Audit Log Plugin now supports streaming the audit log to syslog. TokuDB storage engine package has been updated to version 7.1.8. Querying INNODB_CHANGED_PAGES table with a range condition START_LSN > x AND END_LSN < y would lead to a server crash if the range was empty with x greater than y. Bug fixed #1202252 (Jan Lindström and Sergei Petrunia). 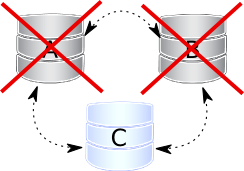 SQL statements of other connections were missing in the output of SHOW ENGINE INNODB STATUS, in LATEST DETECTED DEADLOCK and TRANSACTIONS sections. This bug was introduced by Statement Timeout patch in Percona Server 5.6.13-61.0. Bug fixed #1328824. Some of TokuDB distribution files were missing in the TokuDB binary tarball. Bug fixed #1338945. With XtraDB changed page tracking feature enabled, queries from the INNODB_CHANGED_PAGES could read the bitmap data whose write was in still progress. This would cause the query to fail with an ER_CANT_FIND_SYSTEM_REC and a warning printed to the server error log. The workaround has been to add an appropriate END_LSN-limiting condition to the query. Bug fixed #1193332.
mysqld-debug was missing from Debian packages. This regression was introduced in Percona Server 5.6.16-64.0. Bug fixed #1290087. Fixed a memory leak in Slow Query Log Rotation and Expiration. Bug fixed #1314138. The audit log plugin would write log with XML syntax errors when OLD and NEW formats were used. Bug fixed #1320879. 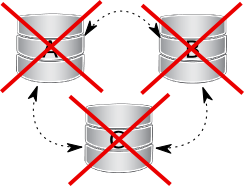 Combination of Log Archiving for XtraDB, XtraDB changed page tracking, and small InnoDB logs could hang the server on the bootstrap shutdown. Bug fixed #1326379. --tc-heuristic-recover option values were broken. Bug fixed #1334330 (upstream #70860). If the bitmap directory has a bitmap file sequence with a start LSN of one file less than a start LSN of the previous file, a debug build would assert when queries were run on INNODB_CHANGED_PAGES table. Bug fixed #1342494. Other bugs fixed: #1337247, #1350386, #1208371, #1261341, #1151723, #1182050, #1182068, #1182072, #1184287, #1280875, #1338937, #1334743, #1349394, #1182046, #1182049, and #1328482 (upstream #73418). 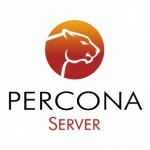 Release notes for Percona Server 5.6.20-68.0 are available in the online documentation. Please report any bugs on the launchpad bug tracker. The post Percona Server 5.6.20-68.0 is now available appeared first on MySQL Performance Blog. Percona is glad to announce the release of Percona Server 5.5.39-36.0 on August 29, 2014 (Downloads are available here and from the Percona Software Repositories). Based on MySQL 5.5.39, including all the bug fixes in it, Percona Server 5.5.39-36.0 is now the current stable release in the 5.5 series. All of Percona‘s software is open-source and free, all the details of the release can be found in the 5.5.39-36.0 milestone at Launchpad. Querying INNODB_CHANGED_PAGES with a range condition START_LSN > x AND END_LSN < y would lead to a server crash if the range was empty with x greater than y. Bug fixed #1202252 (Jan Lindström and Sergei Petrunia). With XtraDB changed page tracking feature enabled, queries from the INNODB_CHANGED_PAGES could read the bitmap data whose write was in still progress. This would cause the query to fail with an ER_CANT_FIND_SYSTEM_REC and a warning printed to the server error log. The workaround has been to add an appropriate END_LSN-limiting condition to the query. Bug fixed #1346122.
mysqld-debug was missing from Debian packages. This regression was introduced in Percona Server 5.5.36-34.0. Bug fixed #1290087. A server built with system OpenSSL support, such as the distributed Percona Server binaries, had SSL-related memory leaks. Bug fixed #1334743 (upstream #73126). Other bugs fixed: #1337324, #1151723, #1182050, #1182072, #1280875, #1182046, #1328482 (upstream #73418), and #1334317 (upstream #73111). 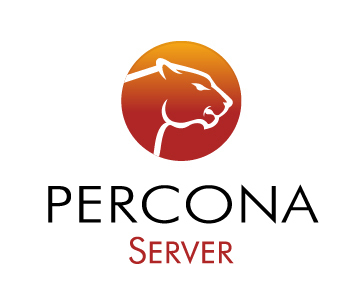 Release notes for Percona Server 5.5.39-36.0 are available in our online documentation. Bugs can be reported on the launchpad bug tracker. The post Percona Server 5.5.39-36.0 is now available appeared first on MySQL Performance Blog. There were more than 120 attendees at Trove Day. That is almost four times the initial estimate! I think I would call that a success. There were 7 very high quality topics that covered material ranging from new and coming features within Trove, to deep inspection of how it is currently used in several big name companies to an investor’s perspective of the OpenStack market. There were also 2 panel style discussions that covered a lot of ground with all participants being ‘guys on the ground’ actively working with OpenStack deployments including one of my fellow Perconians, Mr. Tim Sharp. 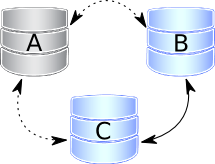 – Trove is NOT a database abstraction layer nor any sort of database unification tool; all applications still communicate with their respective datastores directly through their native APIs. – Trove is NOT a database monitoring, management or analysis tool; all of your favorite debugging and monitoring tools like Percona Toolkit will still work exactly as advertised, and yes, you do need a monitoring tool. – Although Trove does have some useful backup scheduling options, Trove is NOT a complete backup and recovery tool that can accommodate every backup strategy; you may still use 3rd party options such as scripting your own around Percona XtraBackup or make your life a lot easier and sign up for the Percona Backup Service. – Trove IS a very nice way to add resource provisioning for many disparate datastores and has some ‘smarts’ built in for each. This ensures a common user experience when provisioning and managing datastore instances. To that final point, our friends at Tesora introduced their new Database Certification Program at Trove Day. This new program will ensure a high level of compatibility between the various participating database vendors and the Trove project. Of course, Percona Server has already been certified. I see the future of Trove as being very bright with a huge potential for expansion into other areas, once it is stabilized. I am very excited to begin contributing to this project and watch it grow. 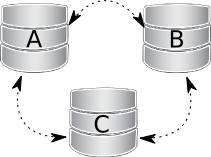 The post OpenStack Trove Day 2014 Recap: MySQL and DBaaS appeared first on MySQL Performance Blog. Fences is a an easy-to-use tool to specify an HTML element for each field. This element choice will propagate everywhere the field is used, such as teasers, RSS feeds and Views. You don’t have to keep re-configuring the same HTML element over and over again every time you display the field.